The belief and practise of socialism and communism is growing in the west, and the people who promote it are getting more powerful and influential in society. This includes communists and their affiliated parties who pretend to be socialists, such as Jeremy Corbyn and Bernie Sanders, along with various socialist, ahem, communist parties around the world. If you watch the news and hear about someone being murdered, that does not make the world unfair. A minority of people murdering cannot make a world unfair. What makes the world unfair, is that it runs on a system that can never be perfect, of which not everyone can be rich, or have a good job. Under a capitalist system people are in a pyramid working for the person above them, and the wealth goes up the higher up the pyramid. The West believes that capitalism (or state capitalism) is fair, because it means that the power in the world is distributed, and that people can run their own businesses. Marxists and communism believe that capitalism is unfair because it is ruled by class exploiters, or bourgeoisie which is a French word that means someone who owns someone who owns the means of production. The means of production is the resources that workers – the proletariat – apply their labour to in order to get their earnings (or wage), such as a factory. Marxists (people who agree with the writings of awful economist Karl Marx who invented communism) and communists, believe that in order for the world to be fair, everyone must be equal, so everyone earns the same wage and every business is run by the state, this is called communism. Also in communism there is no such thing as private property. Instead the state must own all property and divide it out amongst the masses, in theory equally. Communists also do not believe in profit, they think it is wrong. Under communism there is no democracy, as every element of your life must be controlled by the state. I was on MSN Messenger to someone who once lived under communist rule in Romania, and he said that over there everyone had the same sized house, and that the only people who were allowed to leave the country were sports people under special circumstances. I asked him if everyone gets paid the same wage, what incentive is there for people to become teachers and doctors? He told me that they got paid slightly more (LOL). The little boy and girl in the picture are communists as they own the food and they get to say how much is shared out to the dog. 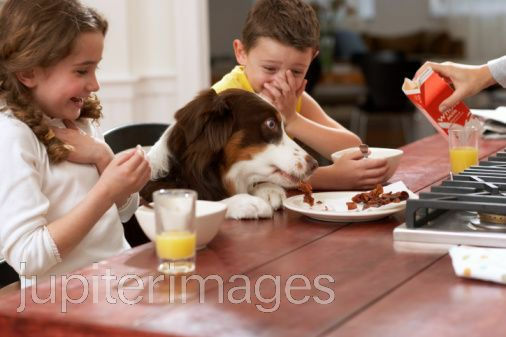 In a capitalist society, the dog would have worked for his food rather than to have all the food seized under the kids’s control and shared how they feel to please. Also note that communism is strongly linked to there being no democracy as 1 person holds all the power, all the cards and others have little say. As you can tell by the images, I believe in capitalism (or state capitalism). 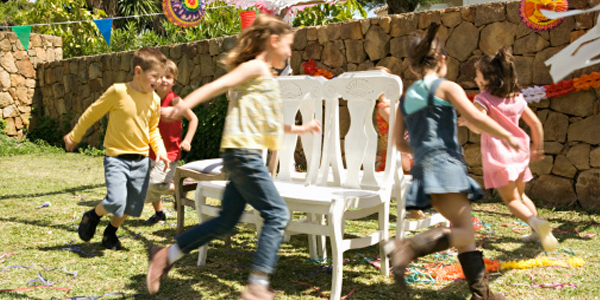 Under a capitalist system, there are only a few spaces for people to be rich, it is like a musical chairs. The system defines who will be in a dead end job or a springboard job, who will be in a prosperous job and who will be a wagecuck, having their income cucked by their employer so they don’t enjoy the fruits of their labour. Someone has to be the cleaner, the checkout assistant, the receptionist, the taxi driver. People have to be a wagecuck (or in poverty), to keep the system running, so people get trapped in the system as the inequality is not exactly there by design, but the inequality is rooted in capitalism. It doesn’t mean that the people are stupid or lazy, as even if they graduated with a STEM degree, there aren’t enough STEM jobs to go around for all the STEM graduates. That’s why sometimes governments make it harder for people to get into university or make school exams harder, because too many people are getting degrees, so they are becoming worthless. Under a communist system, there isn’t really an incentive to do a skilled jobs. The good thing is that communism is an exceptional way of making people equal in society, and that it gives people the jobs that they want to do; but that comes at a price, the ability to be rich or run a business and have some control over what goes on in the country, because under communism there is no democracy. You either choose to be communist and restrict people’s freedom, or become capitalist and introduce a working class. Both systems are flawed, and both systems try to solve a problem that can never be solved. People have tried to fix the system by introducing welfare into a capitalist system, so people aren’t destitute, and other such things. On another note, capitalist societies reward people for their hard work, whereas communist societies stop people from getting rich. There’s a reason why the UK and US countries have companies like Apple and Cadbury; and there’s a reason why China and Iran’s economy is based on slave labour, theft of intellectual property or drugs. I can’t see Chinese pharmaceutical or computer science companies in a country where patents are nonexistent. Those countries work by reducing competition by protecting companies from threats in what is called protectionism. Have you ever seen Microsoft or Pepsi ask their government to protect them from their more profitable rival companies? One billion people live on $2 a day and 3 billion people live on $5 a day. The system is flawed, billions of people are trapped in the system, and it can never be fixed. We will never have world peace or mass prosperity in this world because of the lack of prosperity or freedom that these systems cause. And that is why the world is unfair. The system is flawed, and can never be fixed. I was debating a communist. I know what you’re thinking, you shouldn’t debate an immature person because then you’re just going down to their level. I didn’t know the person for long enough to know her, but as she seemed like a nice person, I thought it would be a good idea to debate her anyway. I remember her saying that no one should be rich. I replied that everyone should be rich. She then replied that no one should be rich at the expense of someone else being poor. I then wondered, if someone gets more money than they need to live on and want to spend things on, should rich people still be rich? I decided not to ask her that question as I believed her answer to that one would be obvious. There are poor people, and there are people with gigantic amounts of money, so much money that they don’t even use most of it, they just sit on it letting it go stale. Why can’t the two just work together? Jeremy Corbyn, Bernie Sanders and Sam Harris are always talking about billionaires and how billionaires should pay more tax. The irony is that all three have over a million dollars in net worth and they all refuse to disclose how much income they make a year. It’s almost as if they don’t want taxes increased on themselves, even though they are rich. Back to what the communist was saying, she told me that she believes in a 90% income tax for the rich. I told her that it’s a bad idea that would damage the economy as the rich would either go abroad and shut their business down, and even if they didn’t do that and stayed in the country instead, her policy would devalue the country’s currency and make everyone poorer. She did not agree with me. Donny, she's wandering around asking for free hand-outs. Thats pretty much the definition of socialism. Happy his kid gets free stuff from others, but like his dad, far too selfish to consider sharing with anyone else. Communists think that money is like sweets. I think that money is like raffle tickets. If there are 10 people, one person has 2000 sweets and nine people have 10 sweets, if the rich person has a 90% income tax, that leaves him with 300 sweets and everyone else with 40 sweets. However if you think that money is like a raffle ticket, if the prize is worth £270 and you sell 90 tickets, people will participate because they have a good chance of winning. But if you sell 9000 raffle tickets for a £270 prize, people will eventually stop participating in the raffle if it’s a weekly raffle, as they will realise that they have a very low chance of winning. I said that she’s a communist and I’m a socialist, and she told me that I’m not a socialist, I’m a capitalist and she is the real socialist. Well at least we’re not libertarians or anarcho-capitalists! What communists do not realise, is that if you increase income tax beyond a certain percentage (or a certain percentage of the GDP), the amount of tax revenue the government will get will decrease. You can’t keep increasing taxes forever, expecting the government to keep getting more money. It doesn’t work like that. Communists don’t understand how economics works. I will now explain why a supertax on the rich hurts the economy by devaluing the country’s currency. If everyone is equally rich, everyone is equally poor. Why don’t we make the minimum wage £1,000,000, that way everyone will be rich!!! 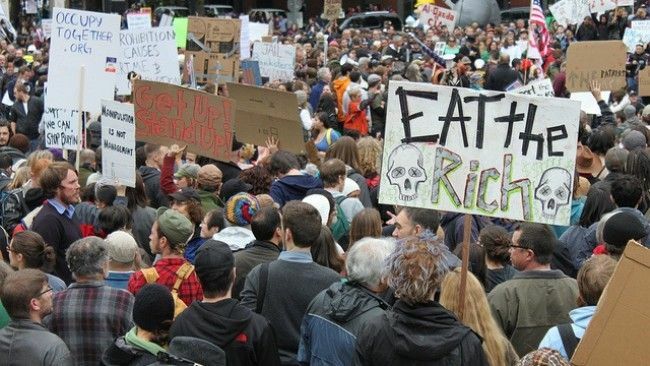 Lots of governments have tried to eradicate the rich, and we all know how that turned out? It’s not about what justifies someone to have more money, it’s that an element of inequality is required for the system to function. It’s just like everyone on Twitter having the same amount of followers. If everyone is equally popular, everyone is equally unpopular, there is no structure to cultivate society. Whatever private individuals create, the government can only take. The private sector creates wealth, and the public sector destroys wealth. 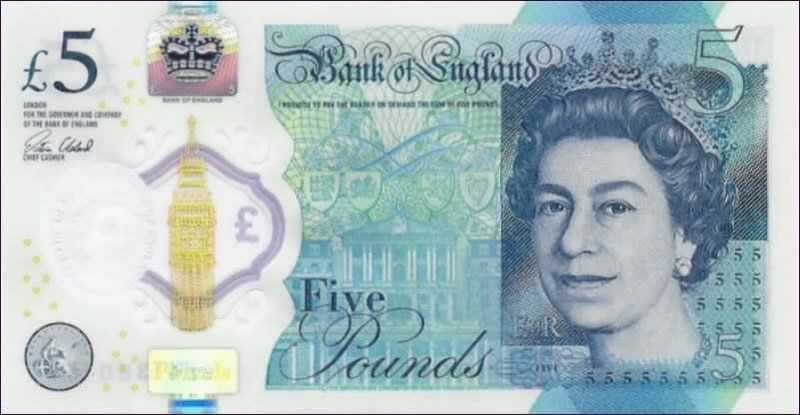 Look at this £5 note. Money. This piece of paper has value. It’s currency. I can use it to buy food or catch the bus. What gives this piece of paper, it’s value? The most common answer you’ll be given, when asking this question, is that the government gives the paper its value. However that is partly true but is not really the case. What really gives that paper its value as money is the private sector. I’m being serious. Currency is not created through the government merely saying it’s currency, but through labour. Money is given value through labour, not trust. Someone had to work a 9 to 5 for that piece of paper to be worth something. The paper has value as money, because of labour. It is backed by labour (and also backed by debt under Fractional Reserve Banking). It is backed by labour. When a government needs money, there are only 3 ways they can raise it. The government can’t print more money becuase that would cause hyperinflation and make money reduce its value. The government can’t increase taxes as once taxation goes over a certain percentage (of income or the GDP), the tax revenue counter-intuitively decreases instead of increases. So the government is forced to borrow from other countries (which is why most countries have huge debts they can never pay back). Imagine that there are 3 people, A, B and C, and each person starts out with £10. On Monday, A gives £5 to B, then B gives £2 to C.
At the end of the day everyone’s bank account is as follows. On Tuesday, C gives £4 to A and £2 to B. At the end of the day, everyone’s bank account is as follows. There is income inequality, yes. There is £30 total money in the economy. But how much value added to the economy? Below are the things that all 3 people brought with their money. Without the ability for people to buy and exchange goods as they wish, people cannot afford a lifestyle for themselves. Also, in the example above, all the things paid for, were backed by labour. Each person, A, B and C, all have jobs and all were paid money to do labour so they did execute a transaction. Here’s what would of happened if those purchases were not backed by labour. See, the ONLY way for there to be more money, not created by any labour in the entire world, is for the government to print money out of thin air. As the government printed money out of thin air, inflation goes up, the increased demand for products increases prices, thus people’s spending power is lessened so everyone is poorer. Make everyone equally poor, as to make everyone equally rich, everyone is equally poor. It is imposible to have income equality unless you make everyone poor. Why? Because there is more wealth being redistributed than is being created. End of explanation. No more commentary needed!